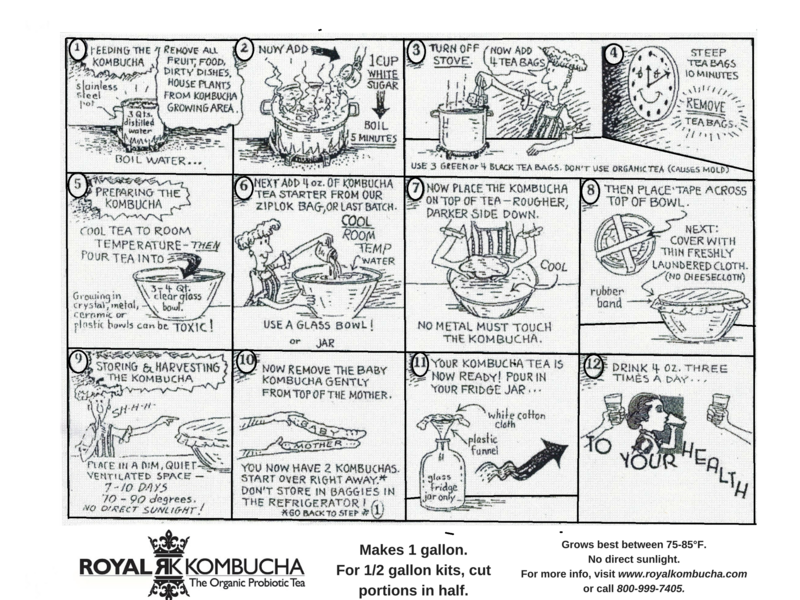 It’s extremely easy to start brewing your own healthy Kombucha tea at home. Many of us have spent a fortune buying bottled Kombucha in the market that is not really a living food. When brewing fresh kombucha, you’re guaranteed to benefit from its living qualities, unlike store bought Kombucha which is pasteurized, brewing your own K- Tea is an organic living probiotic . Use DISTILLED WATER Only ! Do NOT use tap or spring water under any circumstances. 1. Boil Water for 5 minutes. Do NOT over boil. Over boiling reduces the oxygen and carbon dioxide needed for fermenting. The purpose is to heat the water sufficiently to extract the tea and dissolve the sugar. The organic teas are more likely to mold. If you want to be safe and save money, use NON-organic teas and you will be less likely to experience any mold problems if you follow directions. Later, when you have plenty of cultures to experiment, you can use organic teas and see how it goes. Read more about Choosing the right tea HERE. 3. Add Sugar. (1 cup per gallon) Don’t worry the culture will consume most if not all the sugar in a week or two. 4 . Cool to room temperature and place into glass jar. 6. 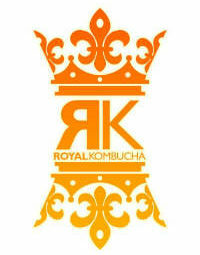 Add the Kombucha culture. Place the “mother” Kombucha in the tea. The Kombucha will grow to fit any size container. Don’t worry it’s no Problem. 7. Cover with a cloth that is tight knit. You can also use coffee paper filters or paper towels depending on the size of the container. Various covers are options, you can be a little creative. The purpose is to prevent pathogens and or insects from contaminating the brew. and the shorter you brew the sweeter it is. 9. Your tea is ready to drink, you can either enjoy it now or add flavor. Please refer to our Bottling and Flavoring Recipes. Note: After brewing & fermenting , refrigeration will slow the fermentation process by 90%, so when its to your liking, put it in the fridge. Thanks for your support happy brewing!